Despite its slippery start, my second day on the Gore Trail was about making miles. Without distractions I simply walk all day. A few times I made myself to stop and eat but each time I quickly became bored with chewing and hiked on instead. Still geared up to contend with mountain passes I found myself trucking quickly through heavily wooded foothills. Most areas up here which are heavily wooded are also heavily Pine Beetled. These nasty little suckers have killed millions of acres of trees, desecrating entire parks and wilderness expanses. 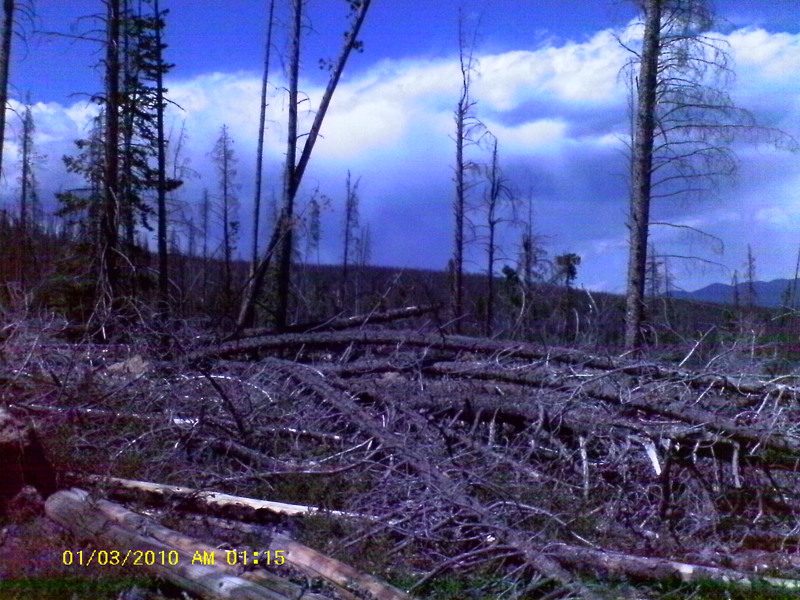 No large scale defense presents itself but the forest service (and larger community) have responded by cutting down the dead trees (to protect hikers) and using them in construction projects. The results are not pretty. Proceeding northward, the trail alternates between beetle cuts and healthy wooded groves. 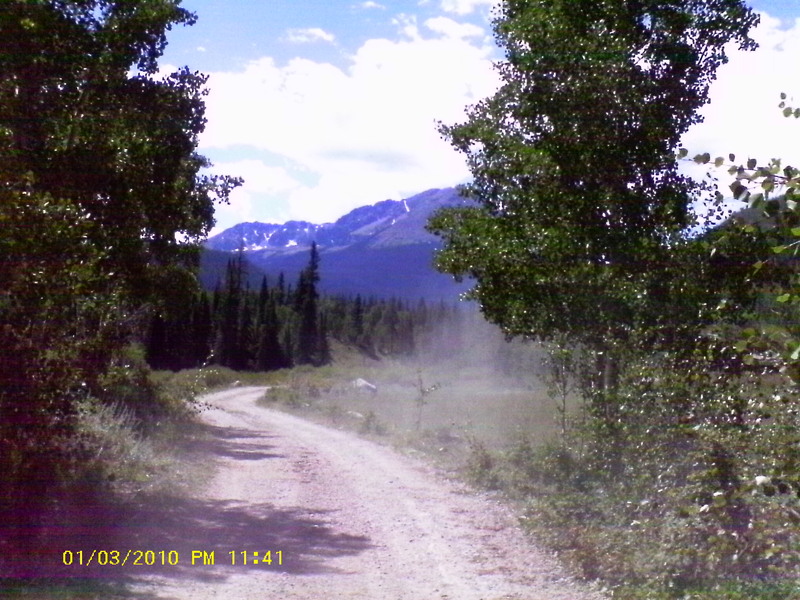 The trail is wide and distinct where day use trails access it or cut over to junctures to back country destinations such as Boss Mine (on North Rock Creek Trail), Boulder Lake, Slate Creek Lakes, and Lost Lake Trail (a horseshoe trail off of the Gore). For the most part, the northern section of The Gore was overgrown to varying degrees. God must have spilled his morning Joe while reading the paper on that first, laid back, Sunday morning because stagnant pools of the stuff speckle Eagle’s Nest Wilderness. I can’t help but suspect this is somehow related to the mosquito population which abounds to the degree that applying bug repellent is an exercise in frustration and futility. Furthermore, the local woodland creatures were less than welcoming. Birds squawked and mini bears chattered angrily. I stayed on the trail and explained I was just passing by but some of them hopped tree to tree just to get their say in. I don’t speak their languages but, “buzz off,” can be pretty universal. The trail wanders around down in the foothills, predominantly under tree cover, so views of the Range were infrequent. However, those views which do peek through the trees, are striking. The miles passed and my feet grew sore. My Asolo boots have a seam idiotically placed along the center ridge of the footbed. Short on energy (still not hungry), I took an afternoon sit, dipping my feet into Boulder Creek. Upon referencing the map I found myself about to hike off its northern edge. Although I would be flying blind, water had been frequent and trail junctures are well signed and rarely more than 5 miles to civilization, so I pressed on. 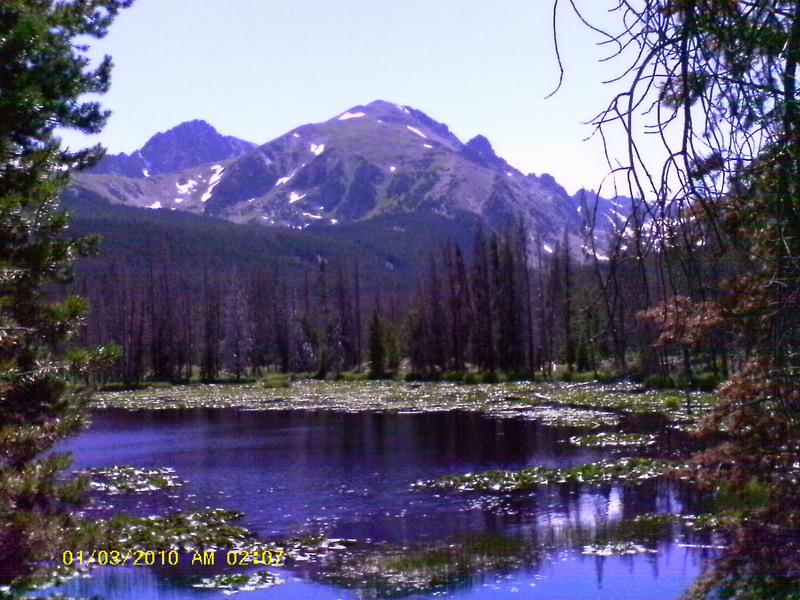 As the air cooled and the shadows grew, pine gave way to spruce and the landscape opened up into waist deep meadow grasses. Here the Gore was indistinguishable from game trails and I proceeded with trepidation, constantly relieved to encounter a length of established trail. Rolling amoung the hillocks, I kept pressing on, hoping to find a mosquitoeless spot. By true dark I dropped camp on a ridge, munched Ramen Noodles, and allowed the Ibuprofen to wear off so I could assess damages. The main grievances filed were sole pain and a toe nail jumped ship based on an old break, negligence, and being smashed against a rock while white water rafting. At the end of it all, I had covered at least 19.7 miles (but probably more like 21), and I felt beaten down. Consciousness dissipated into the vast web of stars. The next morning was more of the same, but without the ability to determine location and distances I became increasingly discontent, culminating in a yelling match with a shrub which rudely snatched at my bare legs. Again I tried to eat but could hardly nibble a Clif bar. I knew I needed to get a grip, so stopped to refill water. Whereupon my Aquamira drops ran out. Only then did I concede that maybe I didn’t need to be out here right now and wasn’t having much fun by myself anyway. Pride pushed us on to the rim of Black Creek’s canyon. From the southwest Dora Mountain and unnamed companions presided over the landscape. Grazing land stretched out to the north and Black creek connected the dots of 3 lakes and reservoirs. 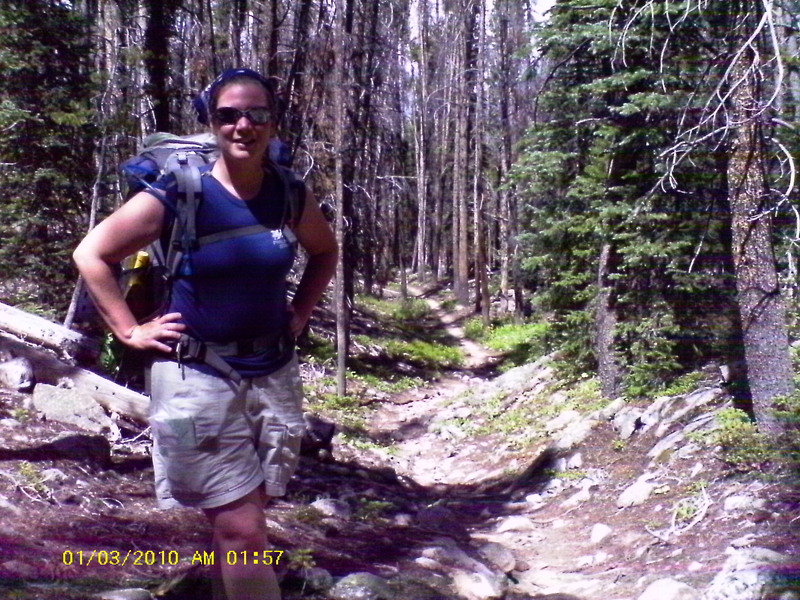 I inhaled deeply, trying to draw strength as I took off down the switchbacks. As I stole another peek at the behemoths at the head of the table I missed a step and rolled through a patch of Bull Thistle; coming to a stop one switch back down. As I lay there, feeling bad for myself, an angry squirrel scuttled out onto a branch, the better to chide me. He then proceeded to hurl a pine cone at me. I’m not good at intrpreting subtle but even this was getting through to me. Next road I hit, I cut down toward civilization. Within 5 minutes a truck pulled up and the driver informed me I was trespassing. An abbreviated version of the preceding 3 entries got a ride down to public road with no bad blood. I stuck my thumb out, got home, crawled up the front stairs and curled up in my empty bathtub, too defeated to turn on the water or get undressed. As it turns out, I had been 5 miles from the end. Wondering off the edge of your map in the mountains,where did you learn that?